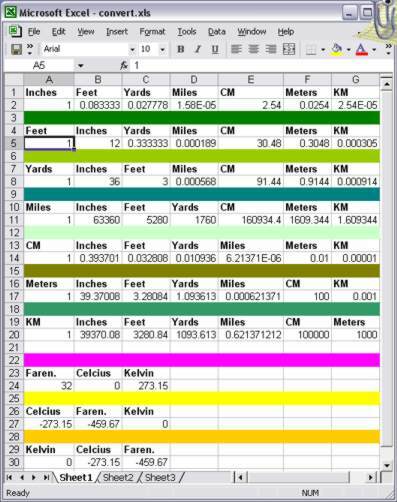 These are spreadsheets that may come in handy if you are planning or building a windmill. 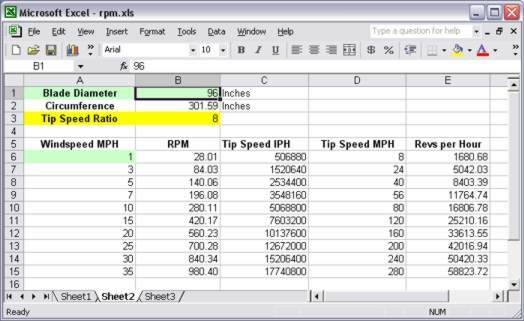 This spreadsheet will figure out RPM for whatever diameter windmill with whatever TSR at whatever wind speed you type in. Colored boxes show data entry points. 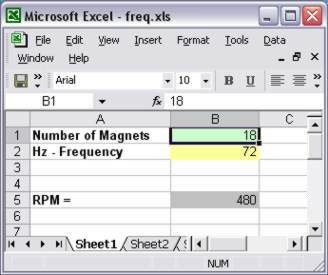 Use your Multimeter's Hertz reading, enter the # of magnets in your alternator, and this program will divine the rpm. Untested. Use at your own risk. Enter data to the A column. Pretty basic.